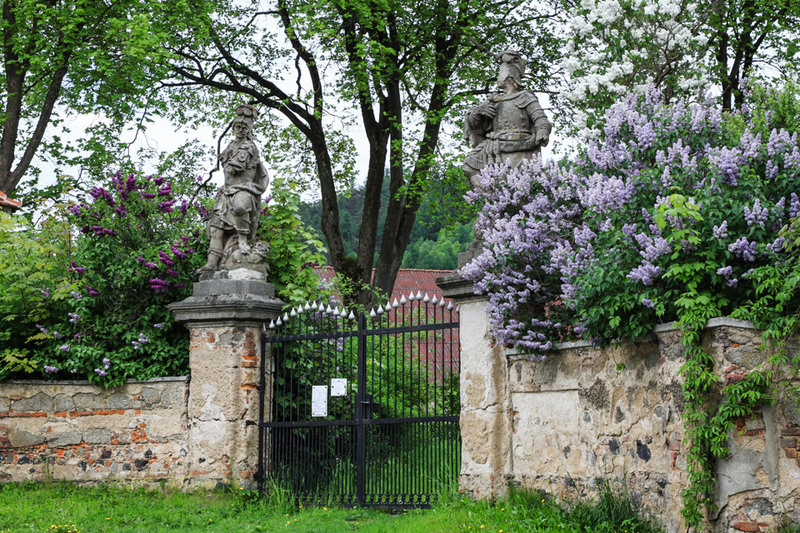 When we were approaching our car at the end of our outing to Žinkovy, I spotted out of the corner of my eye violet lilac bushes. I asked my husband to take care of our tired children and wait for me for a few minutes and went to explore the place. 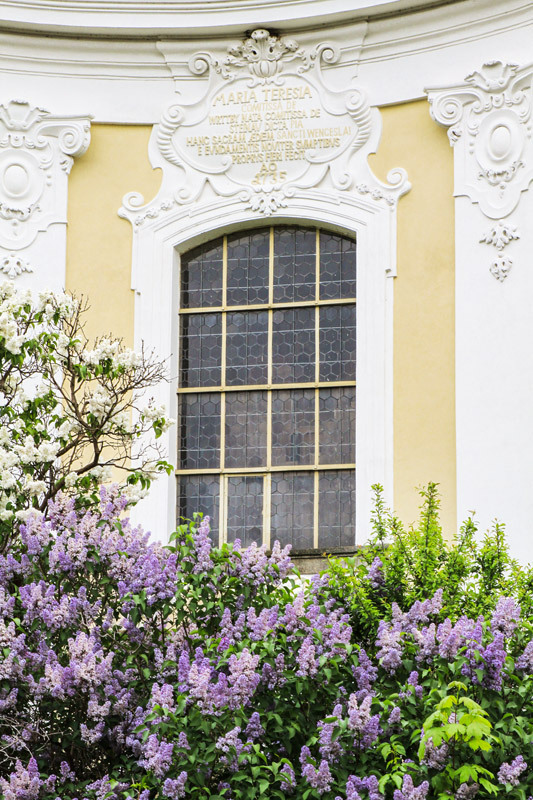 We were parking by an old church and when I turned a corner to come and see the lilacs, I found a beautiful scenery. The lilacs made the scene complete as without their colour the place wouldn’t look that prominent. Unfortunately, the church and its surroundings look somewhat dilapidated and it’s the same old story about first lack of interest and now lack of money. There were two notices on the gate so the church might be used. I was in a hurry and didn’t go to have a look at them so perhaps next time I’ll get to know more. Despite the bad condition, I like the atmosphere of the place. Do you? At least this site has been saved up to this time. Here our buildings are not old and they destroy them to build bigger. Red, hopefully both the will and the money will be found one day. The history counts and we don’t need just the new bigger buildings, I agree with you on that. Peter, you’re right, the sculpture looks interesting. I wonder whether the year 1735 means the year when the church was built. What a beautiful place. And lilacs are just about my favorite flower. Their fragrance is so pleasing. Linda, I also like lilacs, they look so fresh. There are many types of them with varied shades of violet and sizes of flowers, but sometimes their fragrance may be quite intoxicating. It looks like a lovely place for sure. I’d be all over it with my camera too. 🙂 And lilacs.. they’re in full bloom in my back yard right now.. and they’re heavenly. I could at least make out Maria Theresia, so here we are looking at history :-). And yes, it looked nice indeed. Rune, I’ve found out that the original church which had been mentioned already in 1352 was destroyed by fire in 1734 and a year later a new baroque building was built for money of the countess Maria Teresia. So the name and the year 1735 readable in the relief are there to commemorate the renewal. This is gorgeous! I have one little lilac bush..but this scene is amazing! Betsy, thanks. It’s a pity that lilacs are in bloom for quite a short time but other bushes full of flowers will follow, that’s great.